Get Organized! You can arrange over 100 coupons in this durable polyester file. 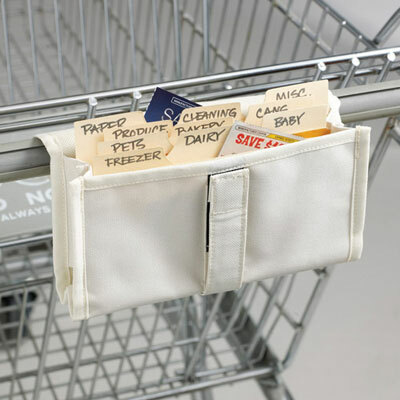 It attaches quickly to the shopping cart with hook-and-loop fastener. Spot clean. Imported. 7½"w.